This is the story of a young man who was an excellent speller. He won seven spelling bees in a row, dominating the competition year after year after year. And then, in the eighth grade, with a trip to regionals (and state! and nationals!) on the line, this champion lost for the first time in his life, shocking the town. How could this happen? How did he stumble? Readers, I have some tough news to deliver. A difficult set of truths. The Eighth Grade Spelling Bee of Cadbridge, Wisconsin, in the Year of Our Lord 1984, was fixed. Completely rigged. The boy, the potential champion, lost on purpose. For reasons that remained murky for years, he threw the bee. I know because I was that boy. It was the worst thing I ever did. But not for the reasons you might expect. The worst? Really? What are you imagining – that I lost for money? Took a bribe? No, no: that would be bad, but not that bad. Believe me, I’ve done worse things. I was always a good speller. I liked to read and I was very careful, and frankly nobody else in my class cared all that much because they had better things to do. After I won a couple of bees it became my thing, and I became afraid to lose. Every year, I put another plaque on the wall above my closet door, spacing them out so there would eventually be room for eight. Not because I was arrogant and predicting my win, but because I was careful and cautious and redoing them would mean making extra holes in my wall. After seventh grade there were seven. With one gap left for the eighth. Our town’s eighth grade English teacher, Ms. Laporte, was excited about my chances. She had first contacted me when I was in the fifth grade, as if I were a star athlete being recruited early by a big-time college coach. “Okay,” I said, honored by her interest. I had a kind of gift: why would I waste it? Winning was what I did because it was what teachers wanted me to do. And I wanted to do what the teachers wanted me to do. In fifth grade, it had always been like that: I wanted teachers to like me. But three years later I had a different view of the world. In eighth grade, as the bee approached, I realized that I didn’t really want to win. I wanted not to lose, because I didn’t know what that would feel like. But I was not enjoying myself. I took nothing positive from the feeling. It just felt like a lot of pressure. And it seemed very uncool! Nerds won spelling bees, because only nerds cared enough to bother. And I didn’t care if teachers liked me anymore. Or I did care, but only remotely. Teachers came in third now. In second place were the other boys in my class, whose opinion mattered far more. And in first place, by miles and miles and miles, were girls. Girls did not seem to be interested in kids who won spelling bees—which is kind of ironic, because as I mentioned I was the only such specimen available. Looking back, it’s possible that they just didn’t like me. But what eighth grader has the self-awareness not to grab whatever excuse is handy? I told myself that my problem was not anything about me per se, it was the stupid annual spelling bee, with which I was strongly associated. It’s not something I’m proud of now, but there it was: winning spelling bees made it hard for me to be the person I thought I wanted to be. It was an incredibly generous offer. And I wanted none of it. Hang around after school with a teacher? What about sports? What about friends? What about girls? Her generosity felt oppressive, and I sensed—or imagined—that her own frustrations were finding an outlet through me. I had heard she wrote poetry and short stories in the summer, and from this rumor I developed a theory that she had identified her problems—miserable life, miserable job, creative energies frustrated by endless rejections—and believed that I was the solution to them all. Me and my spelling ability. Why should I play that role? Why should I help her feel good about herself? Why give her all the glory? Why was that my obligation? Twisted thinking, I realize now. But it’s not how I saw it then. One of my classmates, a C plus student on his best days, had five older brothers and access to all kinds of coolness that I didn’t. He was tough and a little frightening, and teachers kept him under control when he was little, but by eighth grade he was big enough not to be intimidated by authority and close enough to dropping out not to care if he flunked. In the fall he was suspended from school for two weeks and returned sporting a full beard and mustache. I was astounded. “Spelling bee?” I heard him say in the hallway. “Why should we even have one? We know who will win!” And everyone laughed. Girls laughed. I should have been flattered. I should have nodded and smiled. I should have realized that there was nothing insulting about his words, and that while their laughter may have been related to me, it was certainly not directed at me. If anything it was directed at him. But that was the problem: that was the difference between him and me. He could joke about losing because he was comfortable with who he was. I was insecure. I did not want to win spelling bees. I wanted to be like him. A guy on the sidelines, telling jokes, hooting at the winners, admired by girls for his I-don’t-care attitude. I wanted to be a comfortable loser. Ms. Laporte wouldn’t let me withdraw? Well, I didn’t need her permission. I decided I would misspell a word on purpose. I decided I would throw the bee. It wasn’t until I got in front of the classroom, lined up with my fellow classmates, that it dawned on me that this was going to be hard to do. I wanted to lose quietly. If I blew it in some big, obvious way, there might be trouble. The first-round words were pretty easy. Pencil. Telephone. Squirrel. I had not realized how much courage this was going to require. Ms. Laporte, who was sitting in a student desk at the center of the room, reading words one at a time out of a notebook she kept locked in her desk, was an imposing figure in normal times. When running a bee, she took her intensity to a new level. Her straight black hair was pulled off her forehead and secured in a tight bun, exposing her forehead, which was lined with the permanent anger she kept just below the surface at all times. I had often seen this anger emerge, most recently when she had come to class with a rectangle of fabric softener stuck to her pants. Everyone was afraid to point it out to her, so we just laughed as she wrote on the chalkboard, exposing the faux pas on her fanny to the world. When she finally figured out what happened she delivered a five-minute lecture about how to politely handle a situation like that, in a voice so loud the assistant principal eventually arrived in the doorway, alarmed by the noise but too intimidated by her to interrupt. He stood in the doorway, waiting for her to finish, then meekly walked away. Ms. Laporte was fierce. Unlike most other teachers, she expected a lot of us. She expected us to be mature, to be grownups. She did not expect us to throw spelling bees based on a hallway comment from a C-plus student. “Children,” she said to me now. Children? My first word was children—the very word on which I had won in first grade? How could I blow that one? Who would believe it? She smiled at me. I smiled back, feigning confidence. And my anger grew. Why did I have to be afraid of her? Outside this classroom was a whole social world that meant everything to me. And this stupid spelling bee had nothing to do with it. If anything, it impaired my ability to succeed in the world I cared about. I stared at Ms. Laporte, telling myself I hated her. Meanwhile, my classmates were dropping like flies. They just did not care about spelling words. Hardly anyone even bothered to do the most basic strategy of repeating the word before spelling it. Carelessness reigned free. I could almost tell myself that I had been a hindrance to them. They figured they’d lose anyway, so why bother? Why not lose in the first round rather than the tenth? They all knew who the winner would be. I could tell myself that, but the truth was I just did not want to stand out. I wanted to be careless. I wanted to be casual. It looked like so much more fun! My second word was almost comically easy. Standing. Is there a more phonetic word in the English language? No repeated letters, no silent e, no g or j mixups possible. How the hell do you spell standing wrong when you’ve won seven bees in a row? It suddenly occurred to me that I might just have to win. Maybe I was constitutionally incapable of misspelling words! Maybe it was my fate to spell words correctly, and go to regionals, and probably State, where I would finally lose to someone who cared. This is how confused I was as an eighth grader. Cursing my fate as a good speller. Railing against the gods for afflicting me with the ability to spell standing correctly a million out of a million times. I would have to win. And as I thought about winning I got more and more angry. Because then what? I’d get another stupid plaque? And weeks of practicing with Ms. Laporte, when I’d rather be headed to Donna’s Gas and Grocery to play one of their newly installed video games? I was a Gorf freak; some cute girls loved playing Burger Time and Mappy, which stood on either side of Gorf. That could be my afternoon for the rest of the month! I could buy Ho-Hos and drop quarters into Gorf and pray that one of the girls would ask me to share my snack, which would lead to a conversation with an actual girl. Pathetic? Of course! BUT IT WAS A MUCH BETTER PLAN THAN SPENDING MY SPRING STUDYING FOR A SPELLING BEE WITH MS. LAPORTE. COURAGE, JACKE, COURAGE! The competition barely advanced past the second round, stuffed as it was with those lucky ducks who could misspell words. A kid spelled field with two e’s. How could I compete with that? I was getting almost desperate. It should be so easy to spell a word wrong. Just mix up a couple letters. Just throw in an s instead of a c.
My word came up. Jacket. I ask you. How in the world do you spell that wrong? Two k’s? Start with a g? End with an i-t? I did not think I could keep a straight face. AND IT WAS PRACTICALLY MY NAME. No, I was far too afraid of Ms. Laporte to try such a stunt. The kid next to me spelled people as P-O-E-P-L-E and calmly took his seat, joining the blessed world of carefree kids who were free to roll their eyes at each other and pass notes making plans for incredibly fun things they were going to do all spring while I stayed indoors with Ms. Laporte, going through lines of words to hone my skills. And all because I could not misspell an easy word because I was too afraid. I had not counted on this. I had not counted on this at all. My turn came up again. There were four people left in the contest. “Coffeepot,” said Ms. Laporte, smiling at the simplicity of the word. A compound word. What was next? Snowman? But I saw something she didn’t. Coffeepot? 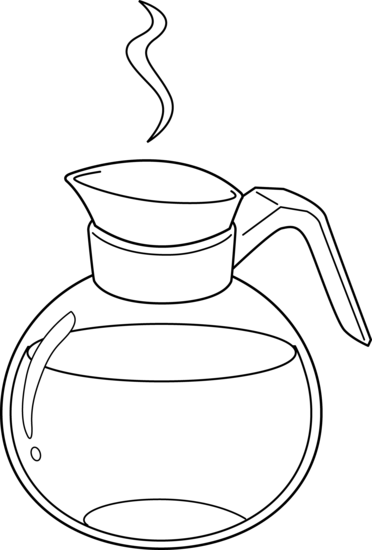 Coffeepot? I could hardly believe my good luck! There was opportunity here! I could plausibly misspell this word! My heart was pounding in a way it had not since the first grade spelling bee, when I heard the last competitor misspell children and I knew it was my ticket to glory. Now I had glory ahead of me once again, but glory of a different kind, the kind that can only belong to the ignominious. Oh, the future looked so bright! A whole new vista stretched out before me: one with friends, and fun, and (maybe, maybe!) a kiss! On the lips! From an actual girl! Behind the junior high school gym, just like all my heroes in tenth grade. Or if not that—had to stay realistic, mustn’t get too excited, it would probably take a while for the stigma of seven straight spelling bees to fully wear off—at least I might one day be holding hands at The Skatin’ Place during the moonlight couple skate. A very good first step! My impossible dreams had a chance of being filled! Yes, they did! Yes! Yes! Yes! I took a deep breath. Glory awaited me if I did not blow it. I needed to summon forth all my strength. It was my last chance; the others might not even make it to the next round. I prepared to intentionally misspell the word. One f maybe? I was so nervous I thought I might actually spell it correctly, blowing everything. Coffeepot, I began, repeating the word with a serious expression as if I were not about to hatch a scheme. It seemed important to keep up appearances if I had any chance of pulling this off. I was sweating. Armpits. I knew without looking that this would show through my shirt. Another strike against me, if anyone noticed. Another reason to want to take my seat early. Standing up there with stains was not going to lead to any kissing behind the junior high school gym. I rushed a little from the e to the p, as if I were just being a little too overconfident, just this once. An expert performance. A perfect bit of acting. I had not been able to face Ms. Laporte during the actual moment of leaving out the e. But now the deed was done. I looked up in triumph. There she sat, in the student desk in the center of the room. All around her, my classmates looked bored and tired. Nobody had noticed I spelled the word wrong. Except her, of course. She stared at me, her gaze long and searching. Don’t do this, her eyes said. You really don’t want to do this. It was too late! It was already done! I raised my eyebrows. Accept it, you frustrated old lady! I will not be your ticket to glory! Now give me the acknowledgment of my defeat that is my rightful prize! Her eyes scared me. Nobody had ever looked through me the way she did (or ever has since, for that matter). I waited to hear, for the first time in my life, that I had misspelled a word. I waited for the chance to return to my seat, pretending to be disappointed but winking at whoever cared enough to look at me. Don’t do this, her glare was saying. I, um, already did it, my eyes said back. Her lips were pressed tightly together. I awaited the worst of her anger. Finally, still staring, she opened her mouth. “That is correct,” she said. My mouth fell open. I stared in disbelief. My face was burning. She knew. She knew everything. She knew everything I was doing. One last look of warning. Do. Not. Do. This. Then she moved onto the next word, asking the girl next to me to spell antiseptic. My head began to spin, and I felt so weak and confused I could barely stand. Was that the worst thing I ever did? No. But we’re getting there. I should have been grateful, of course, but now I was even angrier. She hadn’t let me quit! She wouldn’t let me lose! Why? Because she wanted to be the teacher of a champion speller? Because I was her shot at glory? As the others took their turn I stood in place, confused, embarrassed, and angry. Nobody in the class noticed my inner turmoil, just as nobody had noticed the missing e in the coffeepot. They all had good lives that did not hinge on spelling bees. Only I was thus afflicted. My turn came around again. I expected an easy word this time: she was obviously setting me up for a victory, planning to ride me all the way to regionals, then state, then nationals. She was fixing the bee too. She smiled at me and consulted her list. She looked up—shocked at first, then her eyes narrowed as she calmly assessed me, her new enemy. Her eyes, her forehead, her shoulders, even her hair looked furious. Anger and bitterness and spite focused on a single point: me and my stupid face. That look is etched in my mind. It’s so frightening I can barely stand to conjure it up and view it. She was furious. And she hated me. I had just humiliated her. And she could not believe it. I waited. She made me wait. She made me wait until my victory felt cold. Only then did she say anything. “You may sit down,” she said. There we go. That was the worst. But not for the reasons you’d expect. Was it the worst because I spelled the word wrong? Not really. I’m not proud about tainting the integrity of the bee, but really, who cares? It was just a spelling bee. An hour or two of killed time on a spring afternoon. An alternative to reading at our desks or watching a filmstrip. How about embarrassing Ms. Laporte? God, that was awful. Humiliating a teacher who was only trying to help me? I had no business treating her like that. I showed how ungrateful and insensitive I can be. But that’s not the worst either. Was it the worst because for years I told that story with her as the villain? I exaggerated her frustration, her desire to use me to justify her failed and miserable teaching career. She was unhappy and unsuccessful, which should have evoked my sympathy. Instead I blew it out of proportion and turned her into some kind of conniving witch desperate to use me and my spelling abilities. It was not fair and (probably) not true. I used it to justify my disgraceful behavior. A horrible thing to do. But still not the worst. The truth, which I only recently have come to realize, is that she almost certainly did not care about being the teacher of a great speller. She was not using me. She was trying to show me how to use my talent. How to move up in the world. How to succeed. I had a little spark of something, just like many others in my class. Some had great business minds. Some could fix any kind of machine. Some were born to be caregivers. One kid was a genius at metalworking. Another had memorized the batting average of every major league player in the Hall of Fame. And I was a good speller—and a little more. I was good at most academic subjects. I tested well. It was a little spark, a little breath of a flame, but it was there and she recognized it. And she knew that little flames need protection. A careful hand around them to let in just the right amount of air and keep the strong drafts out. Don’t do this. It was not don’t do this to me, as I thought at the time and spent years telling others. It was don’t do this to yourself. That’s the truth that I sort of knew but pushed aside, because it was too painful. It’s not a lesson we often hear in the Midwest, especially in towns like mine, Cadbridge, with its one stoplight that only flashes red and is basically a stop sign, and its sign at the gas station that said “Guns and Cold Beer” for years, and which even McDonald’s in its heyday had not chosen to invade, which the kids in the neighboring town lorded over us because we did not even have a McDonald’s what a stupid hick town. What we hear in places like that is don’t get ahead of yourself. And don’t brag. And don’t put yourself forward. Ivy-league schools? Distinguished jobs? That’s for other people. Not you. Don’t get me wrong. The people in Cadbridge are great—they are the nicest people you’ll ever meet. Beautiful, friendly losers: that’s us! I’m proud to be among them. But Ms. Laporte knew something else, because she had seen the same thing happen, over and over. Fourteen-year-olds living for Saturday night. High school kids with genuine promise who could not see a future beyond the next car payment. All these kids who would fall into the Great Dark Pool of Mediocrity and Lives That Are Tough. And for once, just one time, she stuck out a net and tried to rescue an eighth grader who could be a champion at something, if only he tried a little. No, it wasn’t losing the bee that bothered her. It was the attitude of wanting to lose. Don’t do this. Don’t snuff out your own candle. Because she knew what it meant. Don’t sink your chances for stupid reasons: you’ll fail for the rest of your life with that attitude. And she was right. It’s exactly what happened, and it all started that day. She warned me with every ounce of energy she had left. She put everything she had into that first stare, which told me not to do it, and which still makes me shiver when I recall it. Like a witch putting a hex on me. Not because she was evil, but because she was frustrated with me, and with those who had come before me, and with all those she knew would come after, and maybe herself, at least a little, because we all did the same thing. For years I stupidly thought it was a sign of my strength to resist that frustration. Now I see it was a sign of my weakness. Now I understand that of all the bad things I’ve done, nothing has ever been worse, because that was the day it all started. That was the day I gave up. Don’t do this. I looked straight into her burning eyes. I knew exactly what she wanted me not to do. So we’re putting together a good collection of educators: music teachers in agony (and surprise update), divinely touched science teachers, desperate football coaches, and now this one from the beloved old junior high, connected to the high school and all its dangerous energy by a single sloping hallway. Is it any wonder I became an educator (of sorts) myself? Or, given my inauspicious beginnings, that Jerry Seinfeld declared me a failure? You can find all of the 100 Objects on the main page. Or just head over to Amazon and pick up The Promotion and The Race: for a few bucks you can own one of my short novels and see where all this history took me in the end. E-books (even cheaper!) also available for smartphoners and tableters and e-readerers. Still too expensive? Tell me you’re a reviewer and I’ll ship you copies for free! And my thanks to all my reviewers and commenters and rebloggers and everyone else who has helped to get the word out. Onward and upward, everyone! That’s funny. My town was about like yours. I threw a spelling bee in Jr. High too. I just didn’t want to participate beyond the classroom. Another scandal comes to light! WOW! !, Amazing story. But this childish mistake should not rule the rest of the life, Do not you think? All of us make mistakes the point after this is do our best to fix them, it is my idea. I agree, we can only do our best – many thanks for the comment! Oh, quite the story. Thanks for it. What I thought was very interesting, was exactly how clearly you remembered that lesson – all thoughts involved, all projections, nuances and events… it occurs to me that whether you won or lost is irrelevant, what you gained was something far deeper, and has lasted your entire life. Very thought provoking post. That’s a great way to think about it. I would guess that my teacher forgot about it a long time ago, but for me the memory is very fresh, and it still has the power to educate (and likely always will). My school never had a spelling bee. I wanted one so badly. In our school, all of the popular kids, including the jocks, were on the B and A honor roll, so pretending to not care about your grades or performance was not the cool thing to do. But I recognize that eighth grade angst. I wanted so badly to be seen as cool by popular people. I would try to tease girls I liked, just like the jocks did, in hopes they’d banter with me. But it never worked, because I wasn’t being myself. A perfect encapsulation of middle school – and how to survive it. Be yourself! It took me until deep into high school to figure that out (and it was often easier said than done). Ouch. Painful. It’s so sad that intellectual achievement (the kind that isn’t lucrative, the kind that stems from sheer joy in the life of the mind) is so undervalued in our society. Middle school is brutal. Totally true. It does get better, though (or at least it did for me)! This is great. We don’t have spelling bees here in the UK but I don’t think, even now ( a LONG time past eighth grade), that I could actually bring myself to spell a word wrong on purpose. I wonder what that says about me! It says you’re a good person! And that you’re an ideal reader for this one, since it definitely did not feel like a casual undertaking to me either. See, I had to read that because underneath one of your other posts you told me not to…. I bet as a child you loved that Sesame Street book with the monster at the end, where Grover begs you not to turn the page. I always loved that book but could barely bring myself to turn the pages, I felt so bad for defying poor Grover. Thanks, Sparrow! I’m glad you enjoyed it. Good story. I found myself holding my breath in anticipation. Oh good! I’m glad the suspense came through. It certainly was breathtaking to experience it. Thanks for the comment! Jeez, that’s a completely different angle on throwing a bee. What a pity. Always let the boy win? I guess that was dating advice (e.g., don’t embarrass your date by winning at minigolf, or shooting more ducks at the carnival, etc.)? Anyway, I hope your immune system has kicked in and Billy G. syndrome is completely out of your system now! Wow could totally relate..I was a really good chess player at school, but it was too nerdy, and I wanted to be normal..suddenly, I just stopped practicing, then started losing..my coach was heartbroken..
Oh no! I can totally picture that. It’s so vivid and palpable when we give things up – our own sense of loss and feeling the disappointment of the grownups as we reject them and their wisdom. I’m on the other end now… So painful! XD It’s hilarious. Great post. Thank you – I’m very glad you enjoyed it! Reminds me of when I quit piano. My story’s not nearly as dramatic though because I hated playing music, hated lessons, all of it. As for you story, don’t worry too much about it. Kids are wasteful so they can learn to not be wasteful, with their talent, money, time, etc. As long as you remember why the mistake matters to you, which you clearly have, it was worthwhile. Cheers! Good advice. Thanks for stopping by! Enjoyed this a lot. It brought back my own spelling bee memory which was quite different for a 7th grade girl. I really wanted to win. I lost on the word “imbecile”, a spelling I now will never forget. My prize was a Kodak Instamatic camera, which sent me on a lifetime pursuit of photography. So, in the end, I really did win. Thanks for sharing your story. What a great ending! I wish I could put such a nice gloss on my own stories, which all seem to layer confusion on top of failure on top of misery, with some false hopes and misplaced optimism in between. I’m glad you won the camera, and that it led to your pursuit of a passion. Thanks for the comment! You are a very good writer! I really enjoyed this. I will for sure be reading more! Thank you! You’re welcome – and thank you! I’m very glad to hear you enjoyed it, and I hope you enjoy the others posts too. Thanks again!